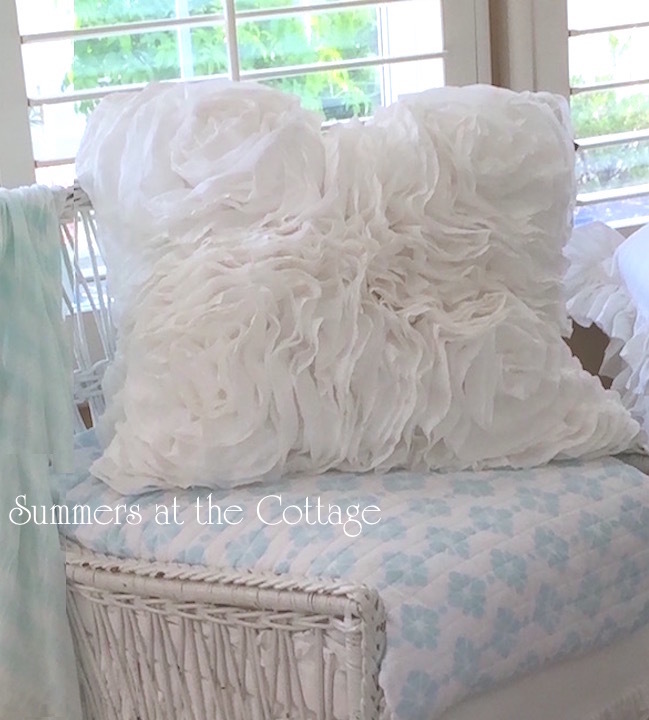 Elegant fluffy white rose ruffles on this pretty pillow! The detail and workmanship is incredibly beautiful. Perfect for a shabby chic romantic cottage home. So pretty and feminine! 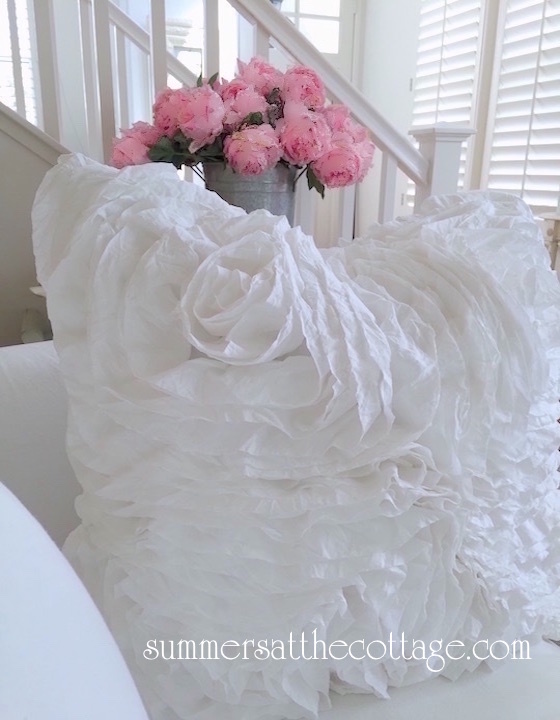 Gorgeous big fluffy white rose ruffles pillow so wonderful to sink into without wrinkles! Option 1) White Rose Ruffles Square Pillow measures 24 x 24 inches. Option 2) White Rose Ruffles Rectangle Pillow measures 14 x 26 inches. 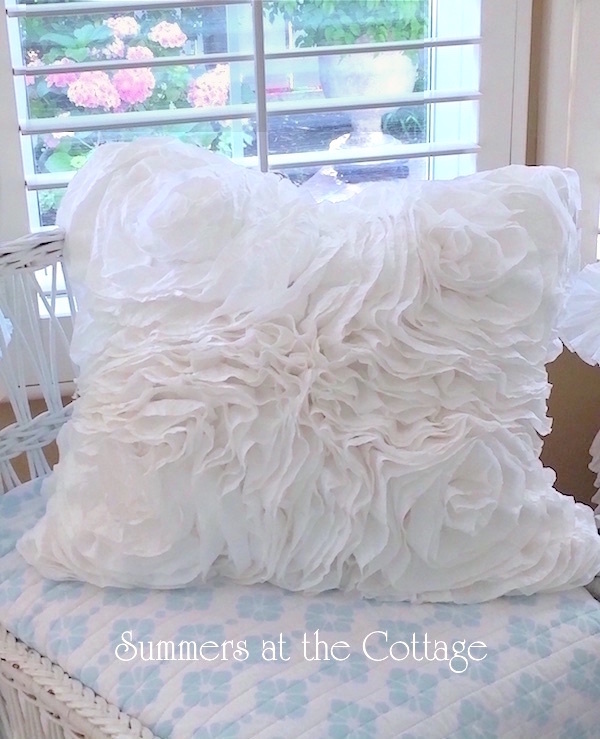 Option 3) White Rose Ruffles Square Pillow measures 18 x 18 inches. Brand new. Down pillow insert is included.